If you follow me on Twitter or Instagram, you might have seen some photos of a product called Hoist. 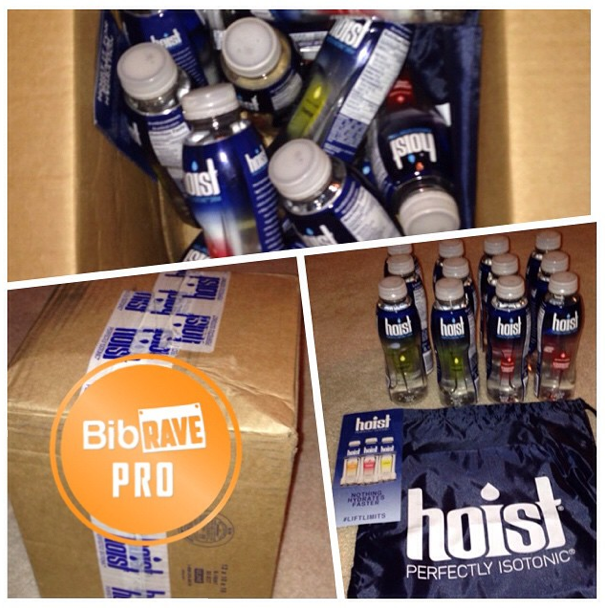 BibRave and Hoist* teamed up and were SO generous in sending all of the pros their product to try out. I received 6 Starfruit and 6 Strawberry Lemonade, along with a drawstring backpack. I was expecting maybe 4 bottles, so was extremely surprised to get a box full of a dozen! Thanks Hoist! 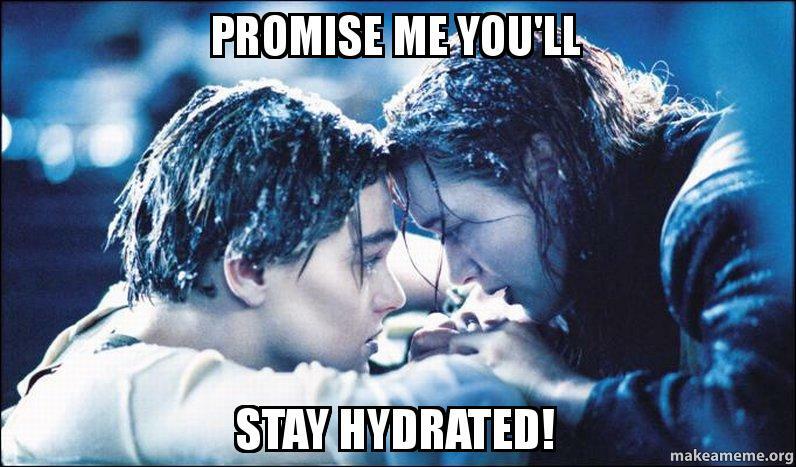 We all know how important hydration is, especially in the summer and during the long runs/races. The week of a long run or race I am even more conscious of what I am drinking, and making sure from the beginning of the week that I am on track for the weekend. I've tried two of each flavor so far, and have really enjoyed it. It doesn't leave a weird taste in the mouth, like some sports drinks, and though it's a bit tart, it's not overly so. 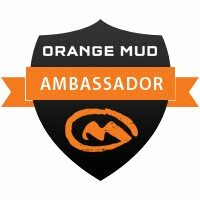 They also have an orange flavor, which I hope to get my hands on soon to try. I have to admit that I'm not the biggest fan of drinking the appropriate amount of water per day, so having something with flavor is always my preferred method of staying hydrated. Nutritional Info for Strawberry Lemonade. I drank two of the Hoist's after shorter training runs and one during the day while at work. The fourth one I drank after my 15 mile run this past Sunday. I tend to get headaches after long runs (dehydrated), but I drank half the bottle while driving home and the rest after my shower, and the headache never hit. 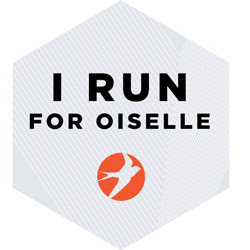 You can read more about my fueling and hydration during my long run here. Pamphlet included in my shipment. 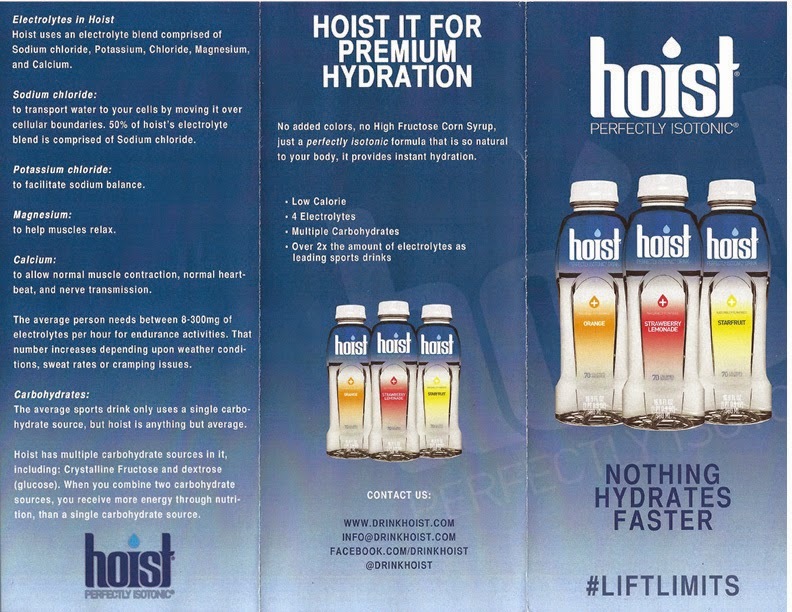 What makes Hoist different? It is isotonic, which means it is absorbed by your body rather than digested. It refuels and rehydrates your cells with minimum effort from your body. Fluid flows right through the gut and instantly hydrates the body. Sports drinks, like Gatorade and Vita Coco, are hypertonic, which means a delay in hydration – they cause fluid shifts from your body to the gut before absorption occurs. This can result in cramping and sluggishness. G2 and Sobe Lifewater are hypotonic – this requires stored electrolytes, which causes a delay in hydration and improper electrolyte balance. 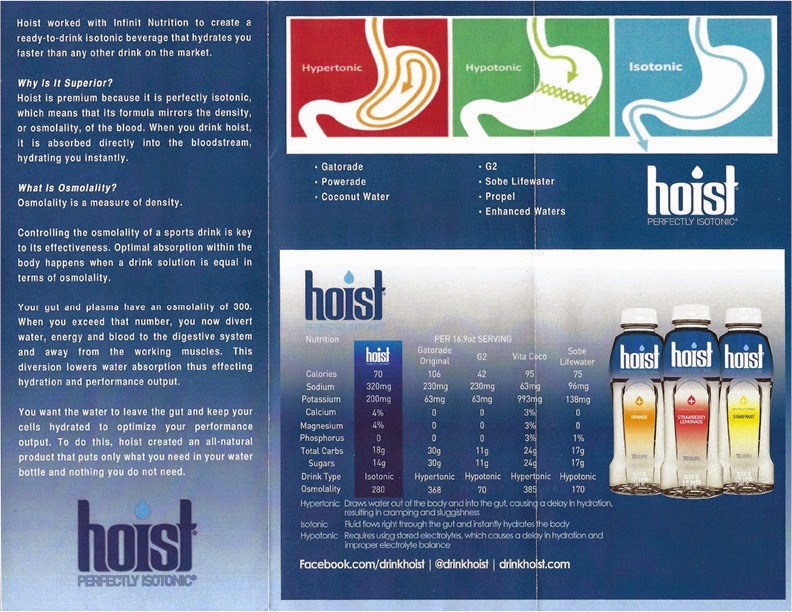 You can read more about the science behind Hoist here. 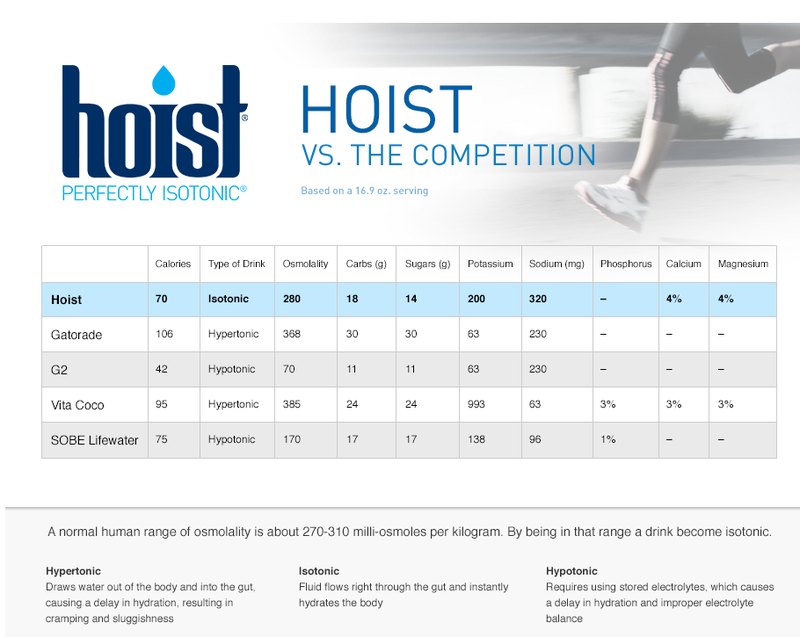 How does Hoist stack up against the competition? 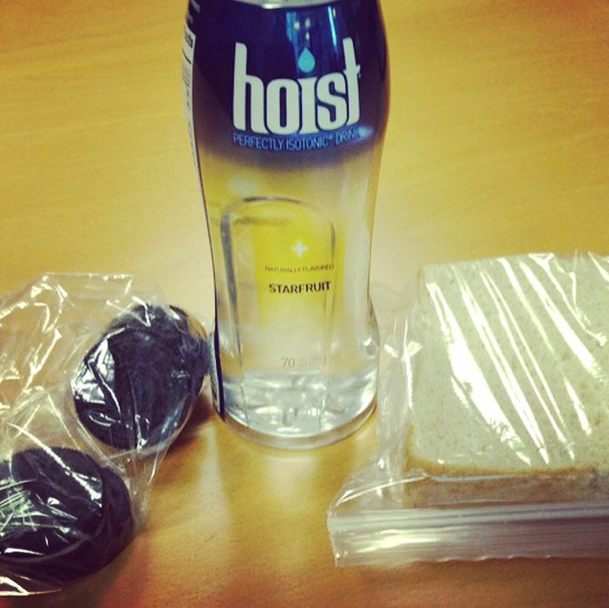 Enjoying Hoist with my PB&J and Oreo lunch. You can search for Hoist retail locations here, or you can purchase on Amazon (though they sell out very quickly). Interested in other product reviews through the BibRave Pro Program? Go here. During our #BibChat on Tuesday night, I also learned that Hoist is great for those days that you wake up with a hangover headache. 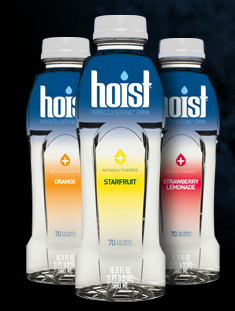 Might I suggest drinking a Hoist before bed... might even prevent the headache from happening! Eureka! *Disclaimer: I was provided Hoist as part of the BibRave Pro Ambassador Program. All thoughts/opinions are my own, as always.